Peptest is an accurate, painless and inexpensive test that tells you quickly and conclusively if you have reﬂux disease. Here’s 10 quick facts on how Peptest works to help patients suffering from reflux conditions. 1. Pepsin should only be in the stomach – if it is found in your saliva, then it means you have refluxed contents from your stomach. 2. We provide customers with tubes to collect saliva samples. The tubes contain citric acid, which acts as a preservative, so you can send samples back to our laboratory for analysis. 3. It takes around 20 minutes to analyse your saliva samples in the Peptest laboratory. 4. We use monoclonal human pepsin antibodies to detect the presence of pepsin in your saliva samples. 5. We will spin your saliva samples in a centrifuge machine for five minutes, at a rate of 4000 rpm, to remove any insoluble material from the saliva and leave a clear supernatant layer (clear fluid layer free of any debris). 6. Then we dilute a sample of this layer with a migration buffer solution, before mixing it in a vortex mixer for around 10 seconds and dropping it into our Peptest device. 7. Our Peptest device is a bit like a pregnancy test and a blue line will appear if there is pepsin present in the saliva. 8. We also measure the concentration or intensity of pepsin in the sample using an electronic lateral flow reader. 9. We will share results with you on the same day as testing your sample – typically this is within 24 hours of a sample arriving at the laboratory. 10. We’ll also send you documentation that you can share with your doctor to tailor the treatment and management of your reflux symptoms. Hi can you tell me why I need three test tubes for testing the Pepsin in my saliva ,why isn’t one enough ? Hi Jane, This blog post – http://www.peptest.co.uk/how-to-use-peptest-why-we-recommend-a-3-sample-kit/ – explains why we recommend a three sample kit. Hope this helps. Is it possible to have this test done by you living in another European country? I received my PEPTEST kit in the mail today. Thank you. I have a question before I begin the sample. The instructions say to stop certain antacids 48 hours before taking the samples. I am currently taking 20mg of pantoprazole twice a day morning and evening. Should I stop taking the medication before beginning the samples? Dear Edward, thank you for your question. You can carry on to take the pantoprazole, it will not affect the test. I have 2 children I need to test. How many tubes do I need to order? Hello Charles, thank you for your question. You will need to order x2 Peptest kits, Peptest kits are provided as either 2 sample (2 tubes) or 3 sample (3 tubes) kits. We recommend the 3 sample kit as this also tests for nocturnal reflux. They are not really doing anything! Is it ok to use the peptest even thogh I’m on the above pharma drugs? Thank you for your your question. You can proceed to use the Pantoprazole, this will not affect the test however please do not use the Gaviscon Advance for 48 hours before providing the saliva samples and whilst providing the saliva samples. So everyone who refluxes will show pepsin enzyme? 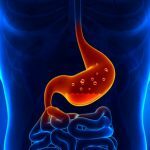 Does it matter if you have low or high stomach acid? Is that determined by this test ? Pepsin is a digestive enzyme found in the stomach. The presence of pepsin indicates the reflux of gastric contents. This is irrespective of the gastric contents being acidic or non-acidic. Peptest does not determine the acidity of the reflux. Yes, you can order Peptest – a saliva collection kit and full instructions will be sent direct to your address via FedEx. Once you have collected your samples just call FedEx and they will collect your samples directly from your address and return to our laboratory for analysis. All FedEx courier costs are included in the price. We are working hard to make Peptest available directly within the USA this year. You can proceed to use the Nexium (esomeprozole), this will not affect the test. Yes Peptest is available in Canada. You can order Peptest via our website: http://www.peptest.co.uk by clicking on the order now icon. The cost of Peptest includes all courier delivery costs. Once we have received your returned samples we will test them in our laboratory in the UK and will then send you a results report via email. Does the test measures the ammounts of pepsin , or is it just positiv/negativ ? 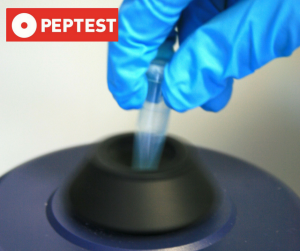 Peptest does measure the level of Pepsin in your samples as well as whether your samples are positive or negative. This is then sent to you in a results report. Hello. I live in Norway. Is there a maximum time from taking the test, until you get it and can test it for pepsin? Like if I send it with mail, I assume it could take 3-7 days, but is that too long time to find pepsin? When you order a Peptest kit we will send it to you using FedEx international priority. We also send you a FedEx return pack with pre-printed airway bill so that your return will be just as quick. Delivery to and from the UK to mainland Europe usually takes 2-3 days so we ask that once you have collected your samples you post them back to us as soon as possible and this must be within 3 days of collecting your first sample. We also advise that you store your samples in the fridge until you send them back to us. Peptest is being used by a select group of NHS hospitals and practitioners but is not yet widely available in primary care. We are working with the NHS and some of the CCGs to incorporate Peptest into the diagnosis and treatment pathways for a number of symptom pathways. Peptest measures the presence of a stomach enzyme called pepsin in a sample of your saliva. Because pepsin is only produced in the stomach, if it is found in the oesophagus, the throat, the mouth or the lungs – then we know it has been refluxed. Can I order the kit and send back for test results if I live in Canada? Yes you can order Peptest from Canada via our website: http://www.peptest.co.uk by clicking on the order now icon. The cost is $175 for the recommended 3 sample collection kit and this includes courier delivery and return of samples to the UK. We use FedEx’s International priority service for both deliveries to and from Canada, which take 2 – 3 working days. Once we receive your samples back in the UK we will test them and then send your results report via email the same day. I am interested in taking the Peptest, but live in New Zealand. Is that going to cause a problem? I currently take one ranitidine tablet each night before bed. I am also in the process of making lifestyle changes, i.e., reducing caffeine & alcohol and losing weight. Thank you for your interest in Peptest. Your location is not a problem. Taking Ranitidine will not effect the test, you can proceed to take this medication. Thank you for your Peptest questions. We recommend that you stop taking antacids and raft-forming/ alginate suspensions such as Gaviscon for 48 hours prior to collecting samples for Peptest analysis. However, you do not have to stop PPI (Esomeprazole) or H2 receptor antagonist therapy (Ranitidine) as Peptest will still detect pepsin in the presence of these if pepsin is being refluxed. Hi there for the past month I have been experiencing a burning sensation in my throat all the time. Do you think this could be a result of pepsin in my throat? As a burning throat is a symptom of reflux it is possible that this is being caused by Pepsin. 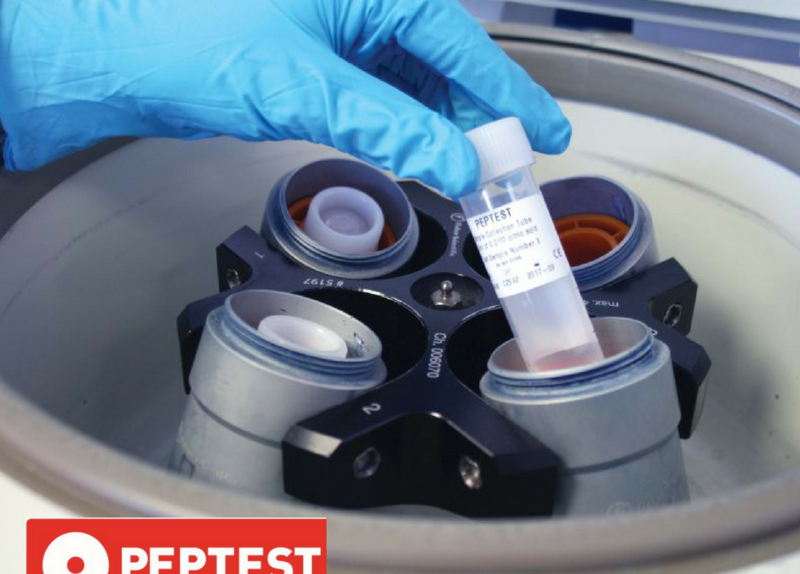 Peptest measures the presence of a stomach enzyme called pepsin in a sample of your saliva. Because pepsin is only produced in the stomach, if it is found in the oesophagus, the throat, the mouth or the lungs – then we know it has been refluxed. You can order Peptest from our website: http://www.peptest.co.uk by clicking on the order now icon. All shipping costs are included and once we have received your returned samples we will test them in our laboratory and email you your results report the same day. If you have any further questions please contact info@rdbiomed.com.